We are fond of sweet corn which is so easily available these days. They are healthy, especially for your skin and hair, and can be used in a wide variety of dishes. 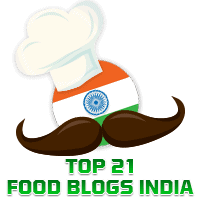 For example, elsewhere in this blog you will find recipes for Palak Corn Subzi, Corn Sev Puri, and Corn ki Subzi. Today's is a simple dish which in the South of India we call a sundal. It can be served as a light snack. This one does not have onion and garlic so many make it for festivals and on days when they avoid onions or garlic in their cooking. Wash and pressure cook the corn cob in adequate water after adding a little salt, for 1 or 2 whistles. Turn off the gas and finally garnish with fresh coconut gratings.